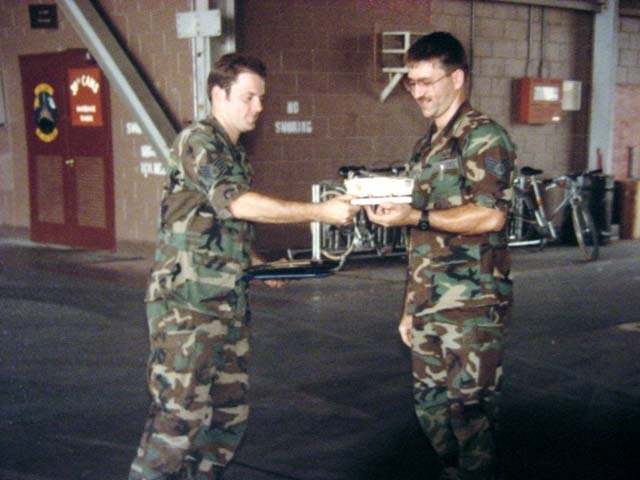 SSgt Laveck enlisted in the US Air Force in September 1980, he took part in the Air Force Recruiter Assistant Program prior to his assignment to Detachment 2 4200 Test and Evaluation Squadron (TES) under the Strategic Air Command (SAC) at Barksdale AFB, LA. 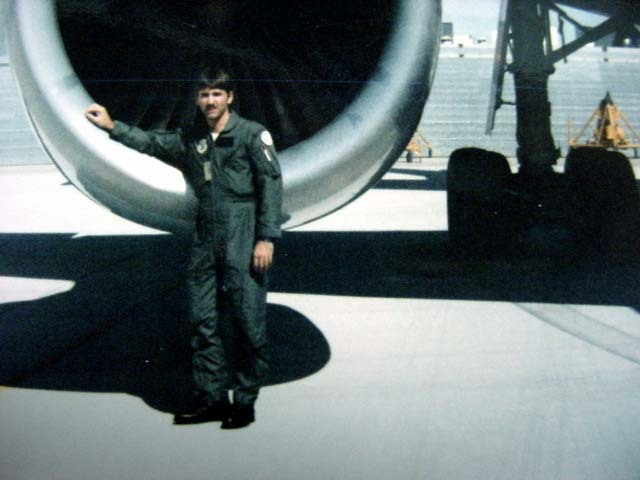 SSgt Laveck was stationed at Barksdale, the first home of the KC-10A, from 1981-1989. In his unit - redesignated the 2nd Consolidated Aircraft Maintenance Squadron (CAMS) - he served as a pneudraulic/in-flight refueling systems technician on the KC-10A Extender. He also performed duties as Quality Assurance Evaluator and Training Section NCOIC. During this time, he received recognition for participation in Operations Bright Star, Global Shield, and Jade Tiger. He also received the 2nd Bombardment Wing Outstanding Service award and Professional Performers ORI Award. Other awards include the Master Technician Award, Technician of the month award (twice), and the Air Force Suggestion Program awards for submitting 60 Technical Data Deficiency Reports, of which 59 were approved. 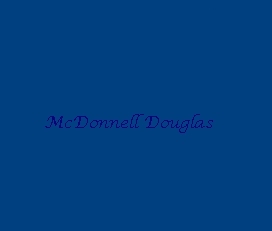 His travels included many TDY's (Temporary Duty Assignments) with the KC-10A to places like Farnborough Airshow, Bermuda Airshow, Andrews AFB, ELF-ONE Saudi Arabia, Oman, Egypt, Italy, Japan, England, Hawaii, Alaska, Iceland, and the Azores. 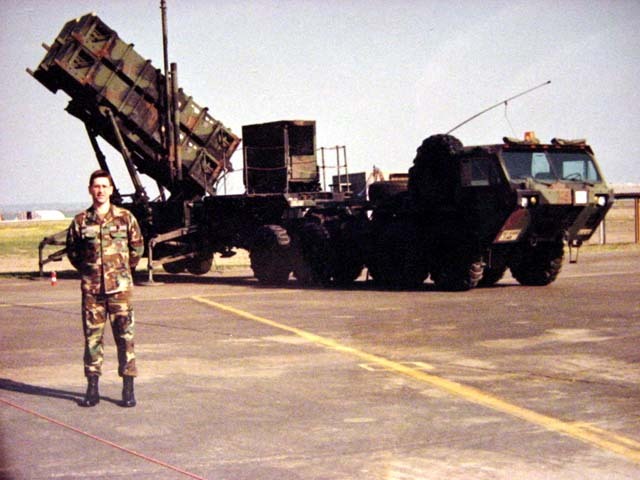 SSgt Laveck was next assigned to 39 CAMS, US Air Forces in Europe (USAFE) Incerlik, Turkey from 1989-1992. He worked as a pneudraulic shop NCO and provided maintenance and shop support for TDY F-16 aircraft. He also took part in Operation Desert Storm. Other duties included fuel systems augmentee and production supervisor for Air Staff directed TRAP inspection. He was also recognized for revamping the Bench Stock system to earn 'Best Seen To Date In USAFE' by the Inspector General. After an extended enlistment, the USAF Reduction Strategy (Drawdown) Program took effect and he received an Honorable Discharge on April 13, 1992. SSgt Laveck currently resides in Geneva, Ohio with his wife Lisa. AF Commendation Medal with two oak clusters, AF Achievement Medal with one oak cluster, Joint Meritorious Unit Award, AF Outstanding Unit Award with three oak clusters, Good Conduct Medal with one oak cluster, National Defense Service Medal, Armed Forces Expeditionary Medal, South West Asia Medal (Desert Storm), Humanitarioan Service Medal, AF Short Tour, AF Longevity Service Award, Small Arms Expert Marksman, and AF Training.